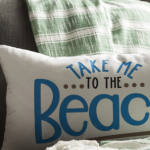 Learn how to upload fonts to Cricut Design Space from online sites that offer free fonts. 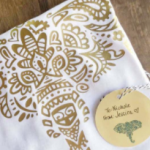 Every Cricut lover needs to know how to upload new fonts. 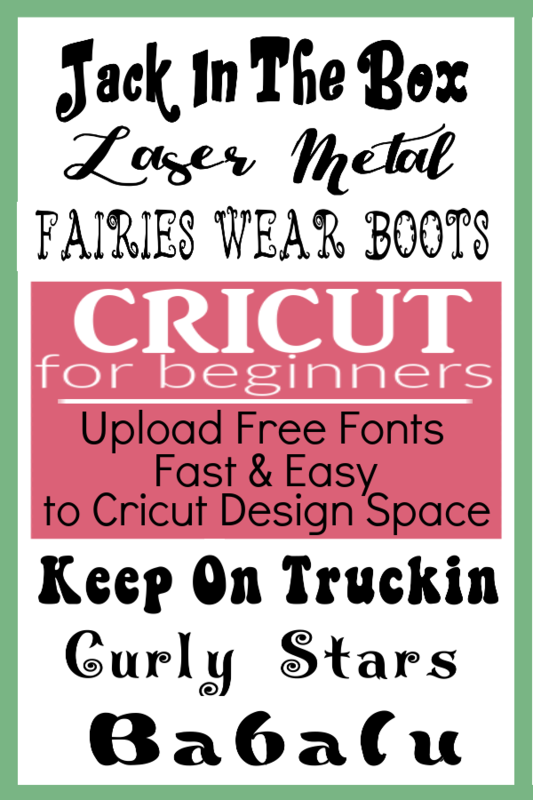 Have you ever wondered How To Upload Fonts To Cricut Design Space for FREE? 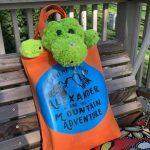 It’s quick and easy to learn and it will save you a lot of money if you have been buying them from Cricut. It can be frustrating to do this if you don’t know how, so save this post where you can find it again. 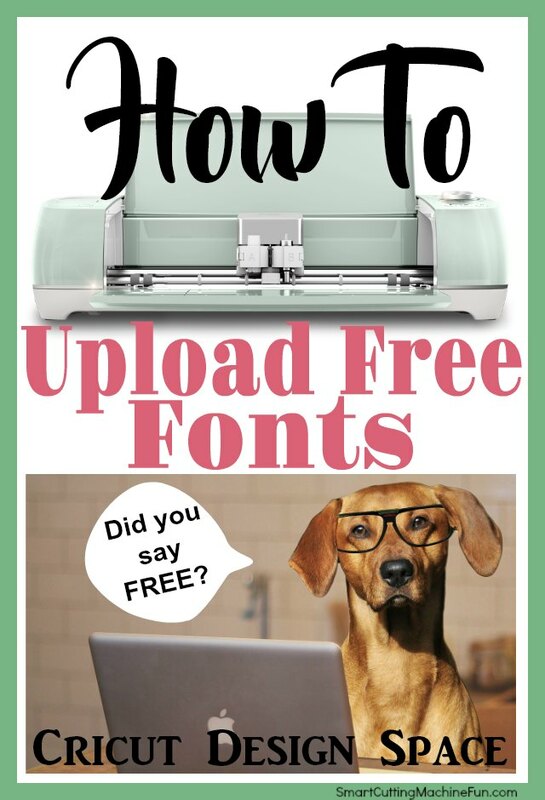 Follow these easy steps and you will be a pro at uploading FREE fonts to Cricut. 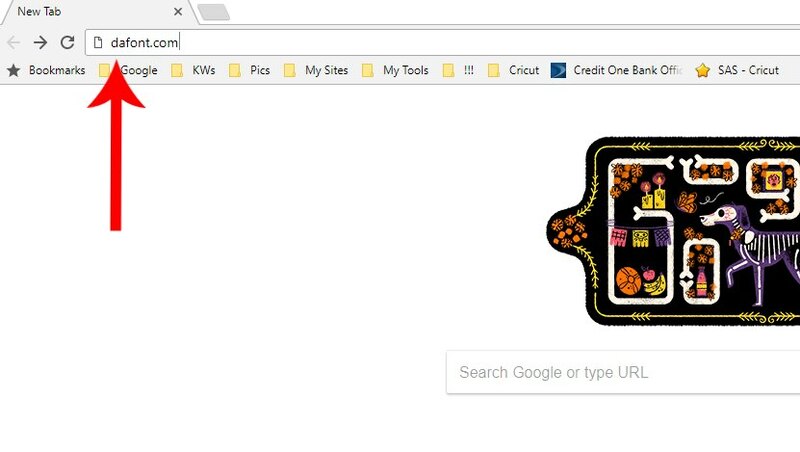 It’s not really Cricut Design Space you are uploading them to, it’s your own computer. So if you use Microsoft Word or something like PicMonkey, those fonts will be available for you to use there as well. Pretty cool, huh? 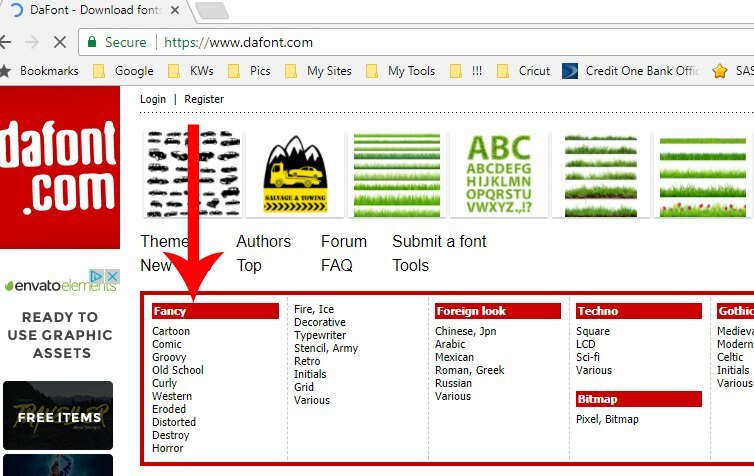 I always go to DaFont.com for my free fonts, but there are other sites that offer the same; FontSpace.com and FontSquirrel.com are two that come to mind. 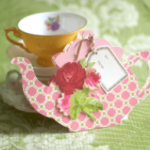 But I am happy with Dafont.com and always find what I want there. Short on time? 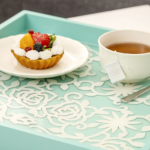 Get all the fonts you need and more with Cricut Access Premium. The monthly fee is $9.99 and you get access to over 370 fonts, over 30,000 images, 50% off digital purchases, 10% off physical purchases, like new machines or accessories. Here is a video I made showing each step you take and where you go. 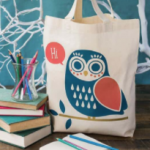 Go to DaFont.com, then follow these steps to learn how to add fonts to Cricut design space. 2. Choose a style of font. 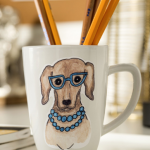 Handwritten, cartoon, groovy…whatever you may need for your project. 3. 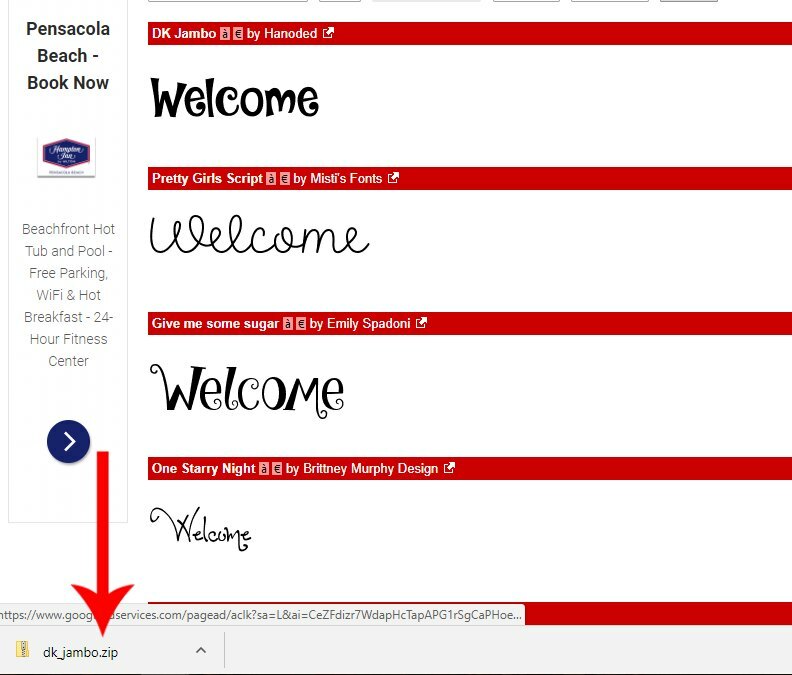 Type in the name or phrase you will be using this new font on in the Preview area. You will see exactly how each new font will look on your project if you type in a word you will be using on your project here. 4. 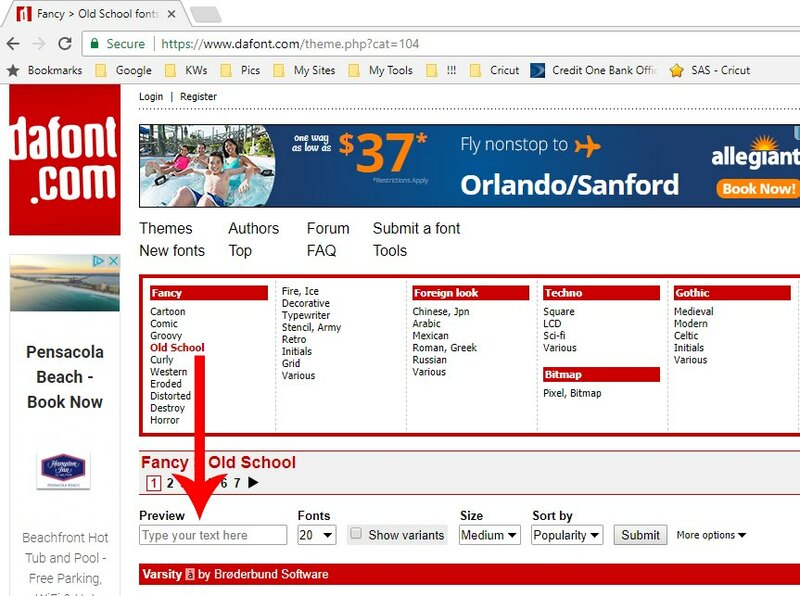 Scroll through fonts till you find the perfect one. 6. Save where you can remember. 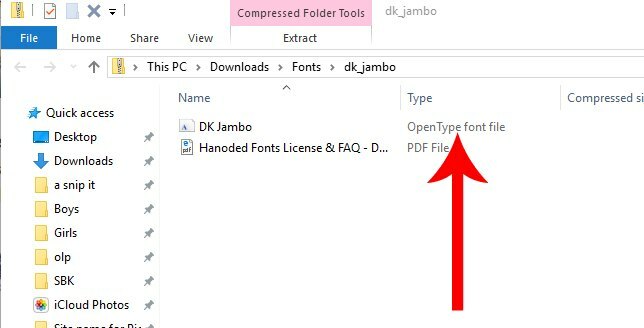 I have a “font” file on my download page. 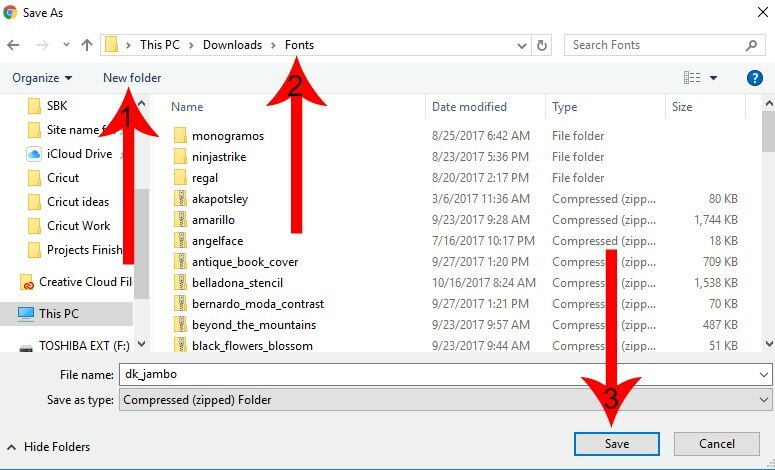 You can do the same by choosing New Folder (1) and then naming it Fonts(2), and then click Save(3). 7. Once it’s downloaded, open the file. On my computer, it shows a line at the bottom on my downloads. That’s It! You did it!!! 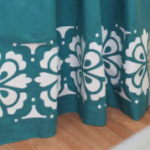 Downloaded Fonts Not Showing Up In Cricut Design Space? 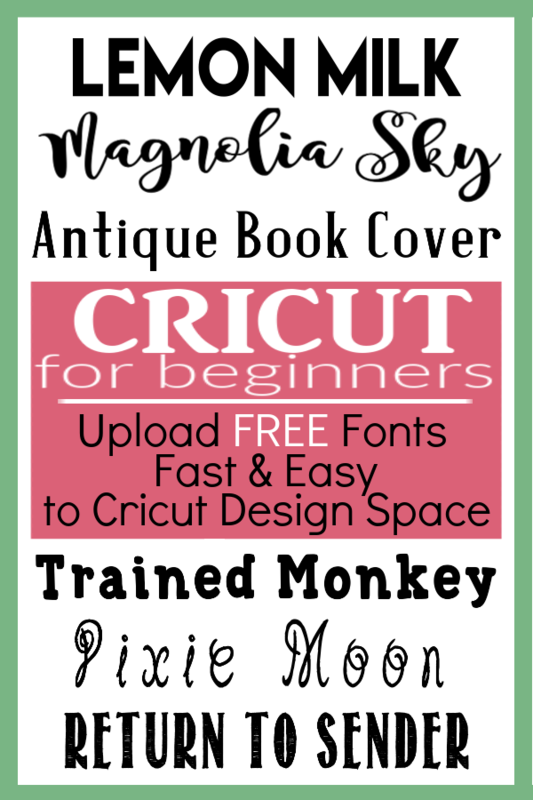 Once you have followed all those steps for downloading free fonts to Cricut Design Space, you must go back into Cricut Design Space and reload the page. 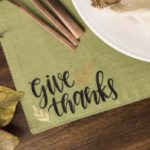 This forces Cricut to acknowledge the new font and add it to their list of fonts. 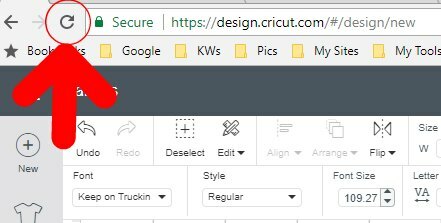 You will lose any work you have on the Cricut Design Space page when you reload the page, so either save it or just know that you will have to rebuild it. If I know I will be uploading fonts to Cricut Design Space, I will start with just a word on the design space. I try out the fonts that are already there and then decide whether I need to go look for another. 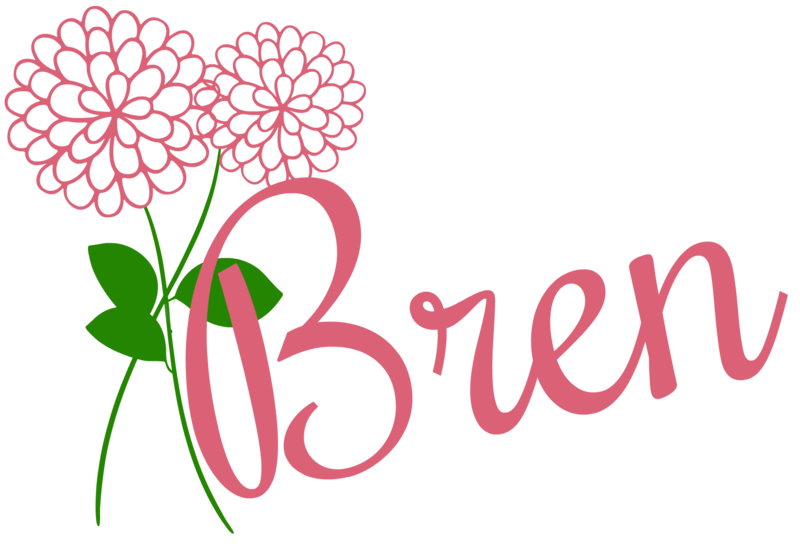 After I upload a new font to Cricut Design Space and I am happy with it, then I start building the rest of my project in Cricut Design Space. To find my new font, I just write my word in the design space and click on the fonts and either search for it by writing the name of the font I want or going down the list trying all the new ones I added. 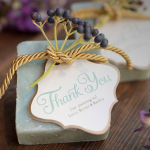 Did you see other fonts you love? Go ahead and download them too. Keep track of the names so you can find them later. 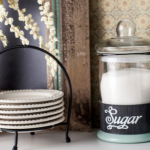 While you are adding fonts, grab a stencil font you like. You can create your own, but I cheat by just downloading one that already works. My blog post about stencil fonts explains why you will want to download your stencil font instead of making it. 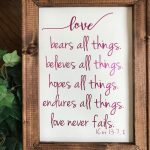 Downloading free fonts to Cricut Design Space is easy and fun and you can then create really unique projects with your Cricut Machine. Don’t forget to save this post so you can find these easy steps again!